TWENTYNINE PALMS, Calif. (AP) — A U.S. military official says two Marine fighter jets collided in midair, but both pilots managed to land safely at a Southern California training base last month. 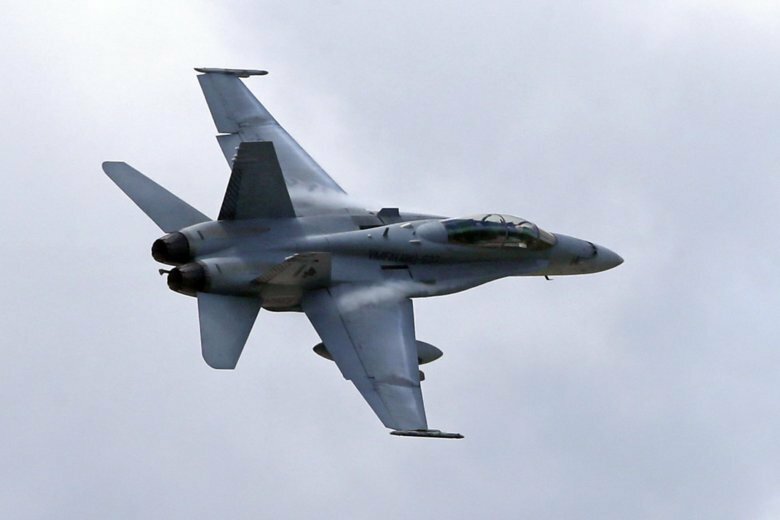 1st Lt. Frederick D. Walker says Tuesday that no injuries were reported in the collision of F/A-18 Hornets on Feb. 28 over Marine Corps Air Ground Combat Center Twentynine Palms. The jets involved are from the 3rd Marine Aircraft Wing. A military safety brief obtained by the Marine Corps Times notes the accident occurred while the aircraft were conducting close-air support training. Officials provided few details, and the extent of the damage to the two Hornets is unknown. Walker, a spokesman for the 3rd Aircraft Wing, says the incident is under investigation.